Relieve Stress and Anxiety with Natural Supplements. With so many natural supplements for anxiety and stress available, how do you know which one is the right one for you? In my Oregon’s Wild Harvest Stress Guard Supplement Review, I put it through the rigors by asking the basic five questions I use before purchasing products for myself. I look at the ingredients, whether the product is organic or not, but also what kind of additives are in the product and whether the company has an eye on sustainability. 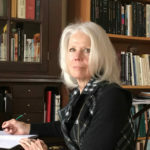 I also spend time reading individual reviews from people who have been suffering from symptoms of stress and need relief. What is the Oregon’s Wild Harvest Stress Guard Supplement? 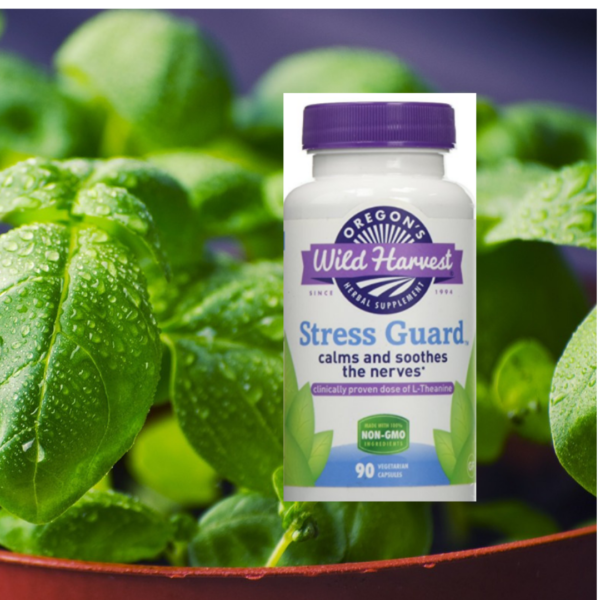 Oregon’s Wild Harvest Stress Guard Supplement is One of My Favorite Natural Supplements for Anxiety and Stress, because the ingredients are not only organic, but Oregon’s Wild Harvest grows many of their own herbs on their organic farms. Taking it one step further, Oregon’s Wild Harvest uses biodynamic farming methods invented by Rudolph Steiner (Steiner also was the inspiration for Walden Schools). Herbs often work better when taken together, and can be more effective in relieving stress. The trick is to know how much of each herb so that you don’t over do it. Rather than purchasing several different herbal products, the convenience of a pre-blended formula makes taking the right proportions easier. The blend also contains a six B vitamins which are a must have for healthy nerves. L-theanine is an amino acid that helps you sleep better at night and feel more relaxed during the day. L-theanine is known as an anxiolytic and it works to reduce anxiety without making you feel drowsy. People using this product have reported good results. It is essential to consider the ingredients that are included and also to be aware of what’s not included. While the big box stores may look like they carry similar products, please read the fine print. I’m all about saving money, but not at the expense of ingesting substances that I don’t want in my body. Chronic stress and anxiety takes its toll on your body and causes adrenal gland exhaustion. Oregon’s Wild Harvest Stress Guard helps promotes a healthy adrenal response*. It calms down your nervous system, very important in healing from stress and anxiety, and also helps the hormonal system including the adrenal glands. Researchers at the School of Health and Biomedical Sciences, RMIT University, Melbourne, VIC, Australia conducted a systematic review of clinical studies on Holy Basil (Tulsi), one of the herbs in Stress Guard and reported: “The reviewed studies reinforce traditional uses and suggest tulsi is an effective treatment for lifestyle-related chronic diseases including diabetes, metabolic syndrome, and psychological stress.” In addition to the Ayurvedic herb, Holy Basil, Ashwagandha is another standard in the Ayurvedic school of herbal medicine. 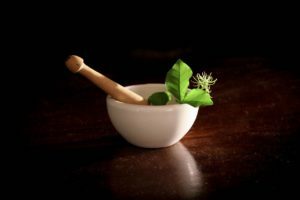 I like the blended formula that takes not only the guess work out of which combination of herbs and vitamins to take, but also cuts way down on the number of different supplements I would have lined up in my cabinet if I bought each ingredient separately. Oregon’s Wild Harvest Stress Guard is verified Non-GMO by SGS, an independent, third-party lab. The quality of the products is valued over the quantity. Manufactured in Redmond, Oregon USA Oregon Wild is a certified biodynamic farming operation using a cutting edge approach using an old idea philosophy of farming with the belief that everything is interconnected. Who is Oregon Wild Harvest? Oregon Wild Harvest is a passionate and consumer-health dedicated company. This company aligns with the principles of using the whole herb which is already balanced with the most potent part of the herb and its supportive constituents. Check out this short video to get a taste of who they are and why I love them. Take a look at how Oregon Wild Harvest is taking organic farming to the next level with sustainable biodynamic farming. I really like the way Oregon Wild Harvest practices abundant sustainability and not just interested in depleting the soil to make a buck. Very important to me–how about you? How Do I Take Oregon’s Wild Harvest Stress Guard Supplement? As with supplement follow the manufacturer’s recommendations, including checking with your healthcare provider to ensure that there is no contraindications for you. There are 90 capsules in each bottle and the average dosage does not exceed 3 capsules per day, so this is a three-month supply or more. Where Can I Purchase the Oregon’s Wild Harvest Stress Guard Supplement? The best pricing I have found for the Oregon’s Wild Harvest Stress Guard Supplement is on Amazon to Purchase. As the founder of HowToRelieveStressNaturally.com I would love to hear about your experience with Oregon Wild Harvest Stress Guard. Please leave a comment below to share your experience or to ask questions that you may have or use the contact form on my website.